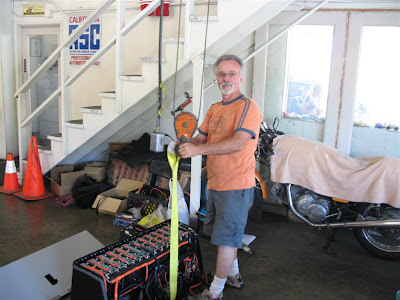 Pat Cadam has led the charge toward innovations in transportation through Pat's Garage, San Francisco's premier auto mechanic shop for hybrid cars and trucks. 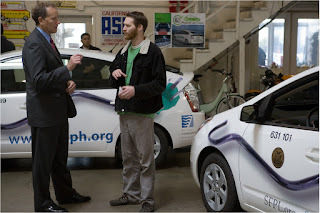 The first to qualify as a Clean and Green business, Pat's Garage works with the San Francisco Department of Public Health as a model for automotive repair businesses that want to adopt environmentally friendly practices. Pat's Garage has been voted best car mechanic by the San Francisco Bay Guardian and its readers for the past three years running. 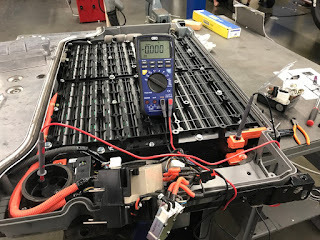 Nick Rothman coordinates installation and customer support for Hymotion, the leading manufacturer of plug-in lithium batteries for PHEV conversion. 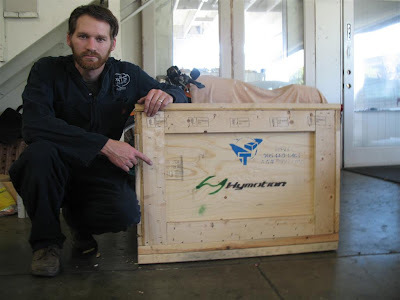 A former auto technician specializing in Prius repair and maintenance, Nicholas has authored instruction manuals and developed service procedures concerning all aspects of automotive care. A graduate of Lewis and Clark College with a degree in foreign languages, Nicholas speaks fluent Japanese and French, talents that come in handy when the Green Gears crew goes to fancy restaurants and can’t read the menus.